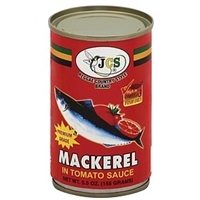 Mackerel, tomato sauce (water, tomato, modified starch, xanthan gum), sugar, salt.contains: fish. 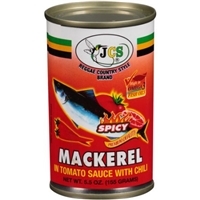 Mackerel, tomato sauce (water, tomato, modified starch, guar gum), sugar, salt, chili.contains: fish. 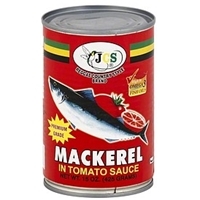 Mackerel, tomato sauce (water, tomato, modified starch, guar gum) sugar, salt.contains: fish. 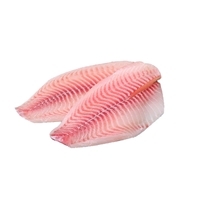 Fried fish fillet (alaska pollack, bleached wheat flour [enriched with niacin, reduced iron, thiamine mononitrate, riboflavin, folic acid], partially hydrogenated soybean oil, water, modified food starch, salt, dextrose, corn flour, yeast, malt syrup, sugar, cellulose gum, soy flour, carrageenan, oleoresin paprika, spices, leavening [sodium acid pyrophosphate, sodium bicarbonate], mono and diglycerides, natural flavor, sodium alginate) green beans, brownie (sugar, water, wheat flour, corn oil and/or partially hydrogenated soybean oil, cocoa eggs, margarine (partially hydrogenated soybean and/or soybean oils, water, mono and diglycerides, beta carotene for color may also contain vitamin a palmitate, salt, whey soy lecithin, natural flavor), acacia and xanthan gums, baking soda, salt, natural and artificial vanilla flavor (water, propylene glycol, ethanol, caramel color)), cooked enriched macaroni product (wheat flour niacin, ferrous sulfate, thiamin mononitrate, riboflavin, folic acid ), water, contains 2% or less of; cheddar cheese (milk, cheese culture, salt, enzymes) swiss cheese (part skim milk, cheese culture, salt, enzyme), wheat four, dried whey, skim milk , sugar margarine (partially hydrogenated soybean oils, water, mono and diglycerides, beta carotene for color. 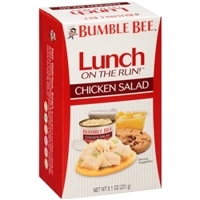 May also contains vitamin a palmitate, salt, whey, soy lecithin, natural flavor), salt, food starch- modified, corn oil and/or partially hydrogenated soybean oil, cream, partially hydrogenated soybean oil, sodium phosphate, butter flavor (partially hydrogenated soybean oil, enzyme modified butter, water and natural flavor). 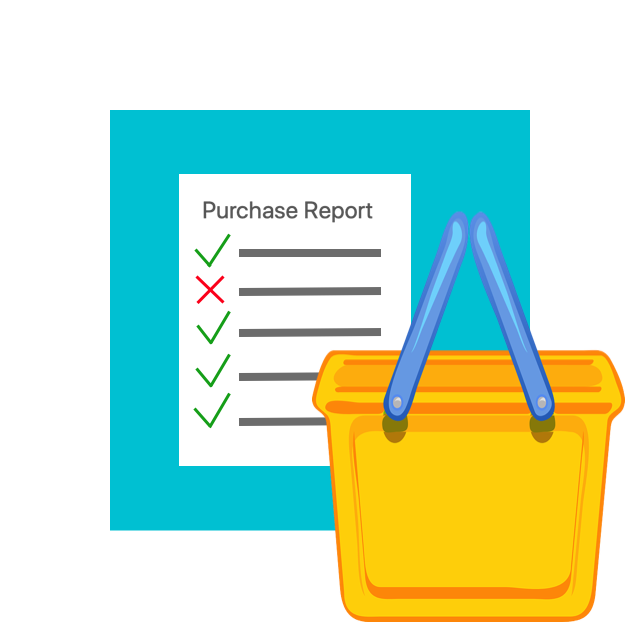 Soy protein isolate, autolyzed yeast extract, oleoresin paprika, vegetable oil, spice, dextrose.contain fish, soy, wheat, milk, eggs. 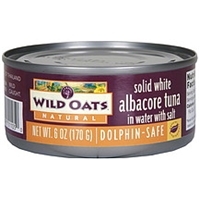 Albacore tuna, water, salt.allergy information: contains fish. 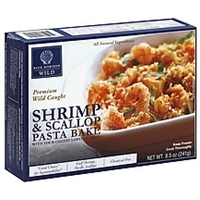 Enriched pasta (semolina wheat, ferrous sulfate, thiamine mononitrate, riboflavin, folic acid), water, wild shrimp, half & half (milk, cream), wild scallops, panko breadcrumbs (unbleached wheat flour, cane sugar, yeast, sea salt), unsalted butter (cream, natural flavor), non fat dry milk, parmesan cheese (part-skim milk, cheese cultures, salt, enzymes), swiss cheese (milk, cheese culture, salt, enzymes), sherry wine reduction (with naturally occurring sulfites), lobster base (lobster, salt, autolyzed yeast, maltodextrin from corn, butter, shrimp, modified potato starch, natural flavors (including clam), onion powder, caramel color, citric acid, scallops, extractives of paprika, spices, cod), shallots, tomato paste, cheddar cheese (milk, cheese cultures, salt, annatto, enzymes), corn starch, fontinella cheese (milk, cheese cultures, salt, enzymes), non-gmo expeller pressed canola oil, xanthan gum, parsley.contains: wheat, milk, crustacean shellfish (lobster, shrimp), fish (cod), scallops, clams. 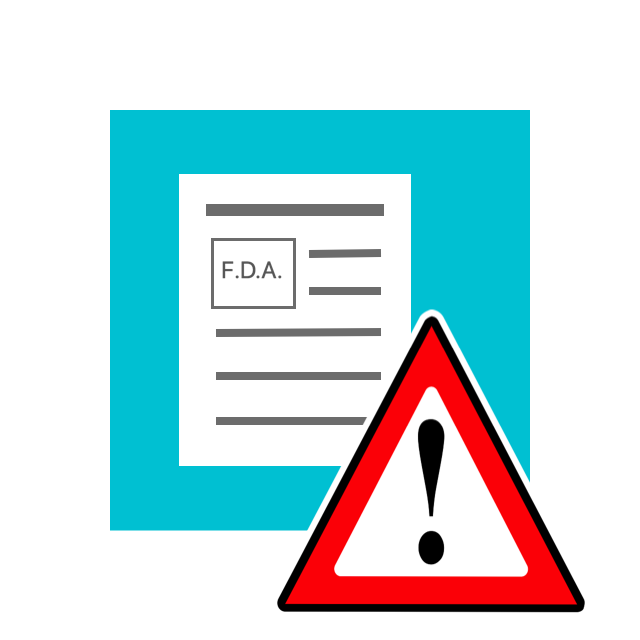 Product may contain shell fragments. 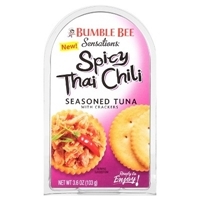 Spicy Thai Chili Seasoned Tuna Medley: Light Tuna, Marinade (Water, Sugar, Sunflower Oil, Tomato Paste, Wheat Flour, Garlic Flavor, Onion Flavor, Chili Powder, Paprika), Onion, Chili. 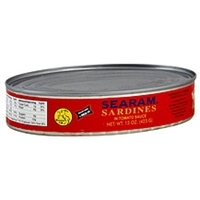 Crackers: Wheat Flour, Water, Soy Oil, Sugar, Monocalcium Phosphate Monohydrate, Ammonium Bicarbonate, Sodium Bicarbonate. 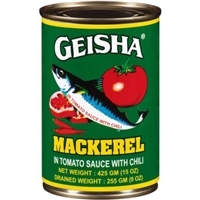 Brand/Manufacturer: Geisha Jfe Shoji Trade America Inc.
MACKEREL, TOMATO PASTE, SUGAR, SALT, TAPIOCA STARCH, CHILI, MONOSODIUM GLUTAMATE, XANTHAN GUM. 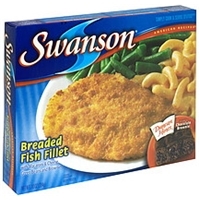 Cod, soybean oil, water, salt, sugar, flavor, garlic powder, yeast, extract, black pepper, granules, onion powder, spice, irradiated spice, vegetable oil, food starch, citric acid, xanthan gum, silicon dioxide, curcumin.contains: fish, soy. Although we have taken great care remove all bones some traces may remain. 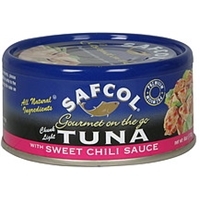 Tuna, chili, soybean oil, sugar, salt, corn starch, paprika oleoresin. 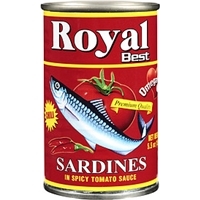 Sardines, water, tomato paste, soya oil, modified starch, salt, chili and spices. 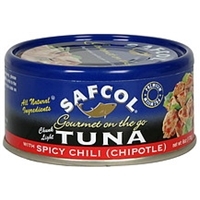 Tuna, water, sugar, onion, garlic, modified tapioca starch, salt, chili, paprika oleoresin. Chicken salad: cooked chicken, dressing (water, soybean oil, distilled vinegar, sugar, high fructose corn syrup, food starch-modified, corn syrup, egg yolk, salt, spices, natural flavor, paprika, extractive of paprika [color] [soy], garlic powder), celery, water chestnuts, textured soy flour, fructose, water glucono delta lactone, dextrose, salt, onion. 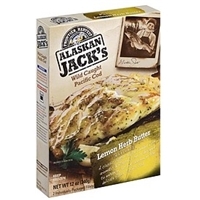 Crackers: enriched flour [wheat flour, niacin, reduced iron, thiamin mononitrate (vitamin b1), riboflavin (vitamin b2), folic acid], partially hydrogenated soybean and/or cottonseed oil with tbhq for freshness, sugar, contains two percent or less of salt, corn syrup, leavening (baking soda, sodium acid pyrophosphate, monocalcium phosphate), butter (cream, salt), soy lecithin. Mixed fruit: diced peaches, water, diced pears, sugar, pineapple, natural flavors, ascorbic acid (vitamin c) to protect color, citric acid. Cookie: enriched wheat flour (niacin, iron, thiamin mononitrate, riboflavin, folic acid), sugar, partially hydrogenated soybean & cottonseed oil, chocolate chips (sugar, chocolate liquor, cocoa butter, dextrose, soy lecithin [an emulsifier], vanillin [an artificial flavor]), whole eggs, invert sugar, baking soda, natural vanilla flavor, salt.chicken salad: contains: soy, eggs. 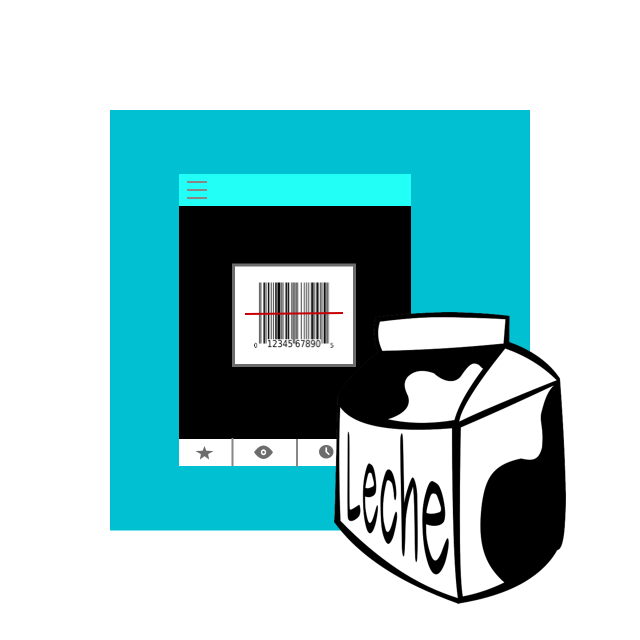 Crackers: contains: wheat, milk, soy. Cookie: contains: wheat, eggs, milk, soy. May contain nuts or nut residue including peanuts.